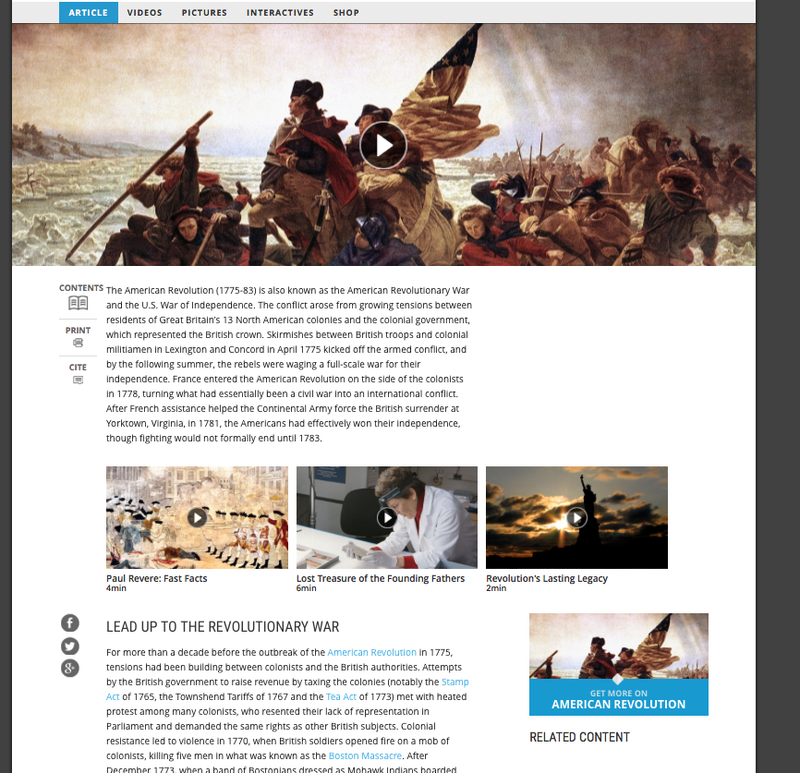 If you find a website that you like and you want to print it out, but you don't want to print out lots of pages, or spend time cutting and pasting - try the Chrome Extension - Print Friendly & PDF. 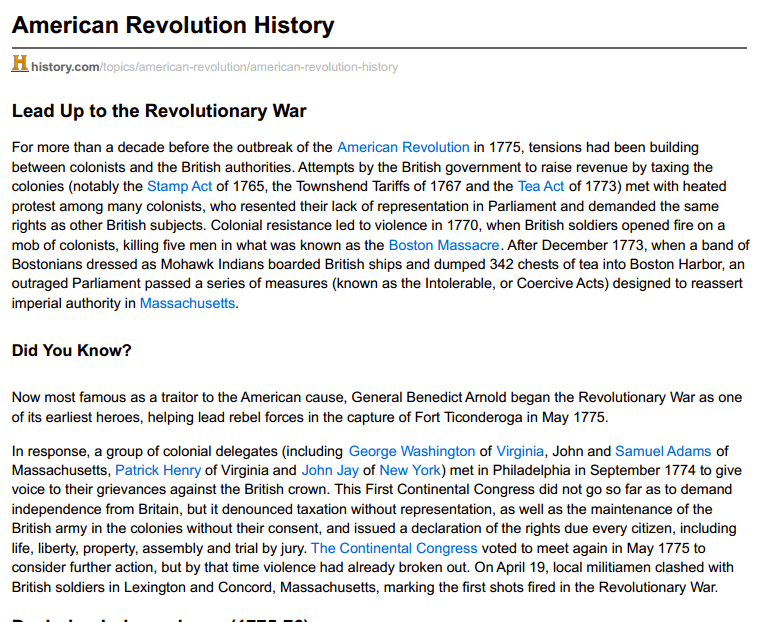 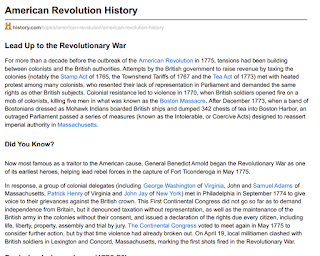 For example - here is a the first page on History.com's website about the American Revolution. And here is what happens when you use the extension.